北越人真的赢得了三场战争（法国，美国，中国）吗？历史上的汉人擅战吗？ [美国媒体] Did the north Vietnamese really win 3 wars (French, USA, China) like they claimed to have? Did the north Vietnamese really win 3 wars (French, USA, China) like they claimed to have? Thuong Tran, Born in Vietnam, live in'Murica; Patriot to both! It pains me to say this, but no. Vietnam (North) lost to the US, they lostevery major battle, and 3 million Vietnamese lost their lives. It was apolitical defeat, but losing politics is better than losing blood. And like the US, China did not win or lose.Both sides amassed huge unnecessary casualties, China failed to end Vietnameseinvolvement into Cambodia, (although successfully got closer to the westernpowers, namely, the US, which coincided with their ‘otherly’ motives), andVietnam lost a major ally. The US ultimately did defeat the NationalLiberation Front (aka the Viet Cong) and the North Vietnamese Army, by 1972(and the VC in 1968–69). North Vietnam had been willing to negotiate by then,and only through breaking the deal after the US had for the most partwithdrawn, did North Vietnam became victorious. South Vietnam on the other hand, the realbelligerent of the war, had lost. They lost the battles (most of which at theend of the campaign), their land, their government, and their capitol in 1975.They, not the US, lost the Vietnam War. With the Battle of Dien Bien Phu, the VietMinh beat the French and, after a nine-year war (1945–1954), re-establishedindependence (Vietnam was briefly independent at the end of World War II). Itwas a clear and decisive military and political victory. And, North Vietnam won the Vietnam War, awar that, for them, extended from the end of the French war in 1954/55 to thecapture of Saigon/Ho Chi Minh City in 1975, or a period of 20 years. In fact,you could argue that the Indochina War lasted over 10,000 days and for morethan 30 years as the Viet Minh (and later Viet Cong and North Vietnamese Army)fought, in order, the French, the Japanese (and French during World War II),the French (again, after World War II and NATO allowed France to reoccupy itsIndochina colonies), South Vietnamese, an Allied contingent (United States,South Vietnamese, South Korean, Australian, and a few other nations), and,finally, the South Vietnamese again. From the Communist point of view, this couldbe considered on single war lasting from the 1930s, when Ho Chi Minh wastrained by the Soviet Union, to 1975. The Untied States withdrew its troops in1973, leaving defense of South Vietnam to South Vietnam. When South Vietnamasked for United States help in 1975 with more supplies and air strikes, thingsthat could have enabled them to hold off the North Vietnamese Army, they wereignored. And, South Vietnam fell. And, along with the fall of Saigon came thedefeat of the United States. In war, a political defeat is as strong as amilitary defeat as the other nation still accomplishes its aims and goals andyou don’t. China, no. However, the war against Chinawas not a defeat, either. 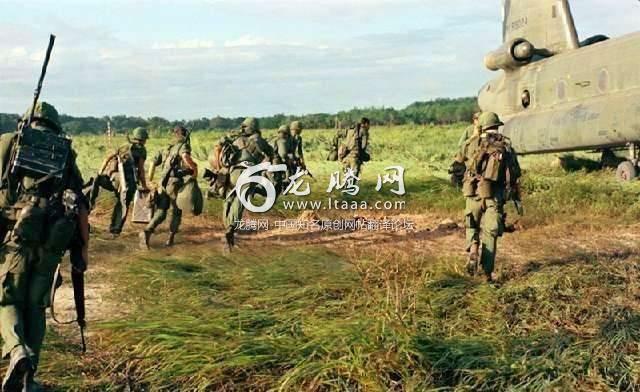 When China invaded northern Vietnam in 1979 with over200,000 troops. While the Vietnamese Army stopped China’s invasion, theycouldn’t push the Chinese out of Vietnam, either. After being stopped by theVietnamese, China made the decision to withdraw. China’s invasion didn’t resultin Vietnam’s withdrawal from Cambodia, which is part of the reason the Chineseinvaded. However, it did demonstrate to the Vietnamese that their new friend,the Soviet Union, wasn’t able to help them, either. So, diplomatically, it wasa mixed bag for China. Feifei Wang, I spend about the same amountof my life in China and in the US. Well… They are. I'm Manchu, so I can't say“we", especially in this context. Han Chinese had been fighting between eachother for thousands of years. And they love history. No other culture loveshistory as we do, I mean, as they do. Chinese culture is the first and for thelongest time, the only civilization that has a designated position for courthistorian, to record official history. And then there's the century of shame, wewere beaten by the European colonialists (well, this time, it is actually“we" after all). But China was eaten from the inside by rampantcorruption. We used to have greatest and most advanced Navy in Asia, until thefleet was ruined from the inside by embezzlement and poorly trained soldiersbefore it's thoroughly beaten in the high seas. As for Imperial Japan invasion during WWII,China at the time was in complete chaos. We have a barely existing centralgovernment, multiple warlords are fighting against each other already. In other words, in the rare cases China wastaken by foreign invaders, China was already weakened and often immobilized byits own internal conflicts and corruption. Nobody was able to attack or eventhreaten China when we're unified and strong. In other words, we're pretty good at war.We just too self-involved in our own internal bickering and infighting, and welost sight of the bigger threat. The in-fighting among the Chinese isnothing to be surprised at. China is more or less equivalent in population to, say,Europe. Europeans have always been fighting each other, too. China is not amere country. It’s an entire continent just like Europe. And it has actuallybeen much more successful than Europe in achieving unity and a centraladministration during most of its history. That’s one of the main reasons, andnot the only one, why it has been admired by Europeans and by us Mediterraneansacross history. No. They're not warrior-type people. Theyare the opposite. The actual starting point of Chinesecivilization is the Zhou dynasty. The dynasty which was one of the main ancientdynasties had interesting feature. Such traces are still present today. Peoplespeak and express slower and not strongly, showing how they are not aggressive.They try to let others know that they are not greedy. Currently, their Special Forces are numberone in the world's competition, but they not be so cruel or brutal. We Koreanssee that way. Chinese had to mobilize 10 times as much to occupy Korea and 20times as much as Japan. But Korea and Japan can not occupy China. Because Chinais so populated that as long as the population remains, they can learn slowlyand create good armies eventually. But when the war is over, we go back topeaceful people. Korea and China are the same in that respect. They think thatworshiping armed forces should not be the default situation. All of this wasstrongly influenced by Zhou dynasty. Well, it took the Mongols, at the height oftheir power, almost 50 years to completely conquer the Southern Song dynasty.They also recruited many Chinese into their armies for their invasions of theMiddle East and Europe. Particularly for their artillery expertise. And the Mongols could only stay less than acentury in China before getting chased out and back into Mongolia. They neverreally recover after that. Although they did still present a considerablethreat for a while. With that said, I don't think race hasanything to do with military prowess.